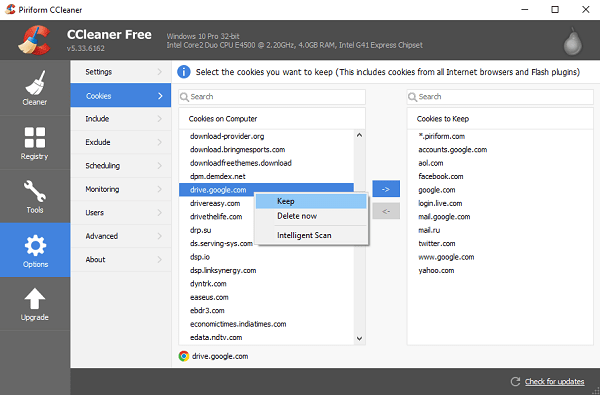 If you want to know about CCleaner Intelligent Cookie Scan, but don’t know how to do that? 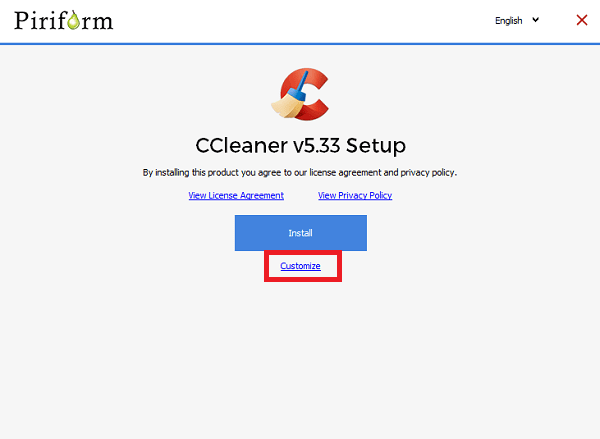 Check out this post to learn everything you need to know about this feature of CCleaner. 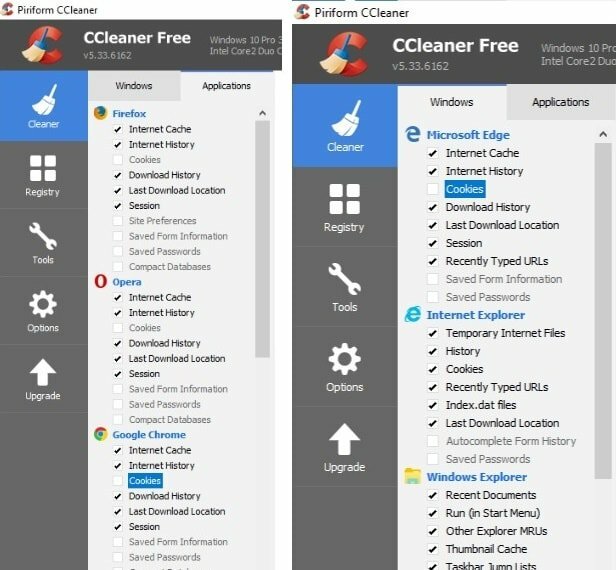 So these are features of the basic free version of CCleaner(download), but it has lots of other useful features which users can enjoy after upgrading to pro version of CCleaner. These features can help users in protecting their privacy and make their computer more secure and faster just by making few clicks. Whenever users visit their favorite website, the cookie will be dropped into the Windows PC. These cookies track when you visit a particular website and related information. Later then, the information collected by these cookies is sent back to the server of the website. This somewhere break the overall privacy of the users. Most of the users delete cookies manually for privacy reasons. Now here Intelligent Cookie Scan of the CCleaner plays an important role. It by default delete the cookies when it runs. 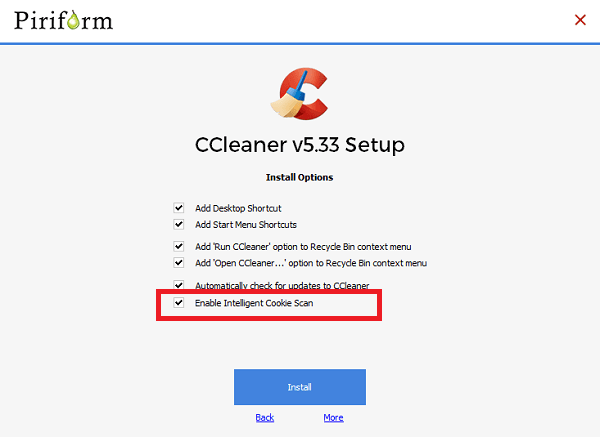 Lots of users want to know how to enable CCleaner Intelligent Cookie Scan. 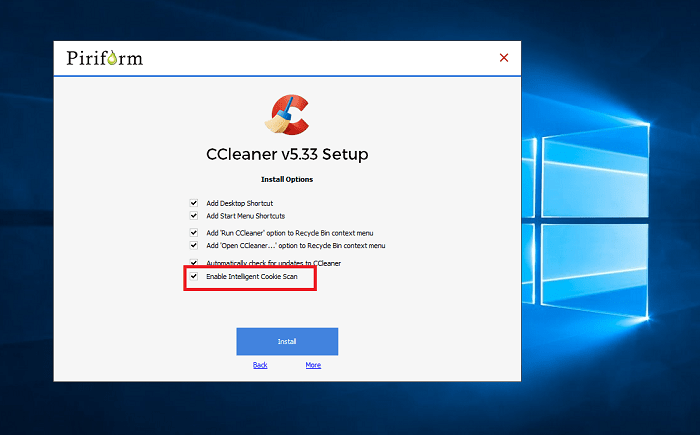 In the CCleaner version older than v4.08, the users have to manually enable this feature, but in the later version, the feature is enabled by default. In later versions, after installing CCleaner the dialog appears asking you to click on the Yes button to enable this feature. Unfortunately, most of the users click on No because there were not aware of this feature. So keeping the privacy of the users in the mind, the company decided to make this feature enabled by default. That means there is no need to enable this feature manually anymore. You just need to click on the Install button to complete the installation. In case, you’re not a fan of CCleaner Intelligent Cookie Scan feature, then uncheck this option. Head over to Application tab in CCleaner and uncheck box next Cookies for Chrome, Firefox, and other browsers. Do the same for Edge browser in the Windows tab. Here you will find out the complete list of cookies it deletes when you run it. 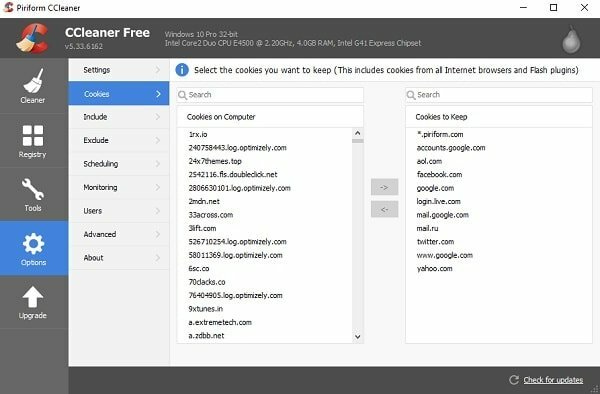 In case, you have enabled the CCleaner Intelligent Cookie Scan, then it will delete cookies from the website listed under “Cookies on Computer“, and keep the cookies listed under “Cookies to Keep“. In case, you want to keep the cookies from your favorite website, then you can search the cookies for a particular website. When it appears in the search result select it and click on Forward arrow. Alternatively, you can make right click on the particular cookie and select Keep from the context menu. I hope you find my article about CCleaner Intelligent Cookie Scan useful. Let me know your thoughts in the comments.